The Chengdu Aerotropolis project is is approximately 50 km southeast of Chengdu City. 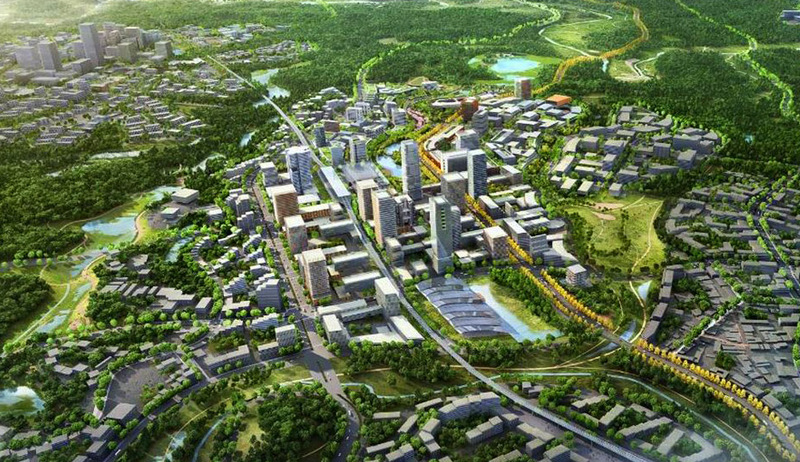 The project is part of the City’s strategy to decentralize and expand Chengdu City eastward. It includes a new Tianfu International Airport with a planned capacity for 90 million annual passengers. The project site has a very unique topography with the Jianxi River, two dams, Jianxi River, and Longquan Mountain on the east side. The key objective is to develop this as an ecological and sustainable City. At full build-out, the greenfield site of 200 square kilometers will feature almost 200 million gsm of development, housing 1.9 million people and incorporating commercial, cultural, educational, industrial, medical, and other land uses. The project began with an overall concept master plan. During this phase, CHS Consulting Group introduced the idea of focusing on mobility and accessibility, not roadway length per development area. CHS further developed an extensive transit and active transportation network, introduced new performance measures, and recommended demonstration projects for the first phase development. CHS recommended strategies to reduce travel demand: job and housing balance in each sub-area, a transit-focused investment strategy; higher density and mixed-use developments near transit stations; first- and last-mile connections, and parking supply and pricing strategies. CHS also recommended technological innovations such as various Intelligent Transportation Systems and connected and driverless vehicle technologies. For the first phase development, CHS also recommended street design guidelines, including small-grid concepts, narrower streets and intersection treatments, and parking and transit investments.